Maffei 1 is a giant elliptical galaxy in the constellation Cassiopeia. Once believed to be a member of the Local Group of galaxies, it is now known to belong to its own group, the IC 342/Maffei Group. It was named after Paolo Maffei, who discovered it and the neighboring Maffei 2 in 1967 via their infrared emissions. Maffei 1 is a slightly flattened core type elliptical galaxy. It has a boxy shape and is made mainly of old metal-rich stars. It has a tiny blue nucleus in which stars continue to form. Like all large ellipticals it contains a significant population of globular clusters. Maffei 1 is situated at an estimated distance of 3�4 Mpc from the Milky Way. It may be the closest giant elliptical galaxy. Maffei 2 is an intermediate spiral galaxy about 10 million light-years away in the constellation Cassiopeia. Maffei 2 and Maffei 1 were both discovered by Paolo Maffei in 1968 from their infrared emission. 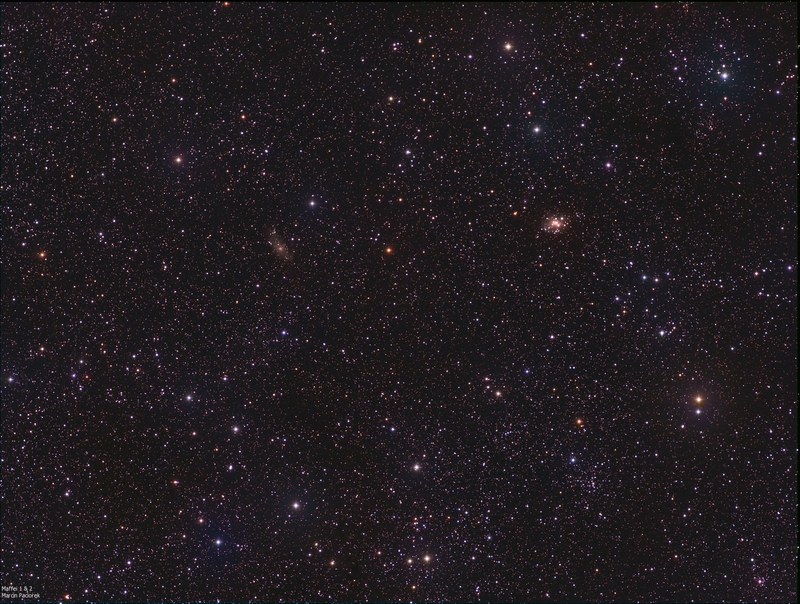 Maffei 2 lies in the Zone of Avoidance and is about 99.5% obscured by the Milky Way's foreground dust clouds, and as a result is barely detectable at optical wavelengths. 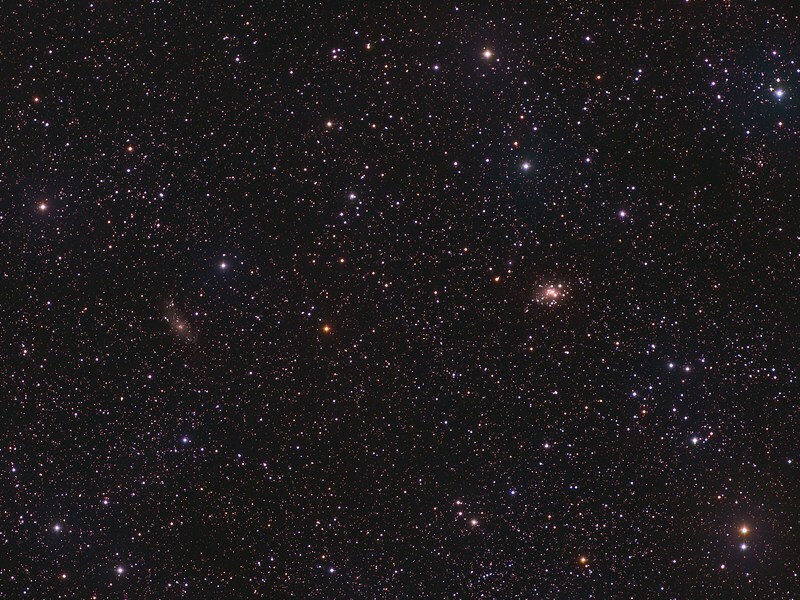 It had been suggested soon after its discovery that Maffei 2 may be a member of the Local Group, but it is now thought to be a member of another nearby group, the IC 342/Maffei Group, the group of galaxies that is the closest to the Local Group .